FROM PARENT INVOLVEMENT TO PARENT ENGAGEMENT Parents use InSync to understand state & common core standards and learn easy ways—in both Spanish and English—to reinforce and extend teacher-led instruction. REAL-TIME (REAL USEFUL) DATA Administrators, parents and teachers use InSync to track student progress and tailor instruction in real-time with the InSync dashboard. LEARNING BEYOND THE CLASSROOM Students use InSync to enrich, enliven and refresh their own learning. With hundreds of engaging activities, students remain focused on their learning objectives not just 9-3, but throughout their days and weeks. InSync Education is an ambitious attempt to join parents and teachers in a collaboration to support the academic success of our students. 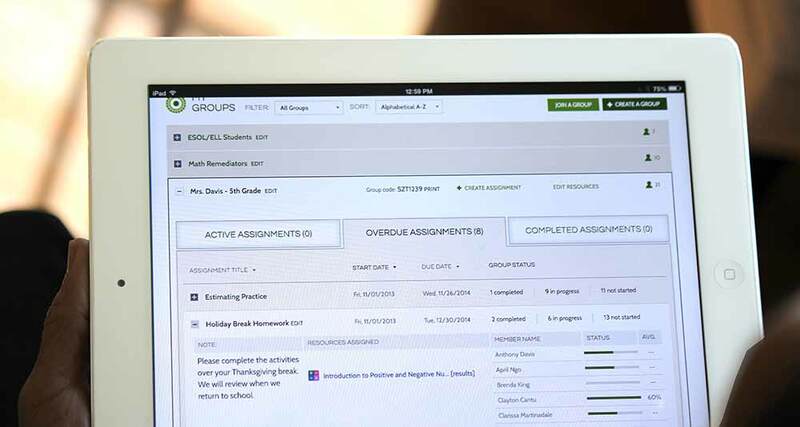 See how teachers use InSync in the classroom. 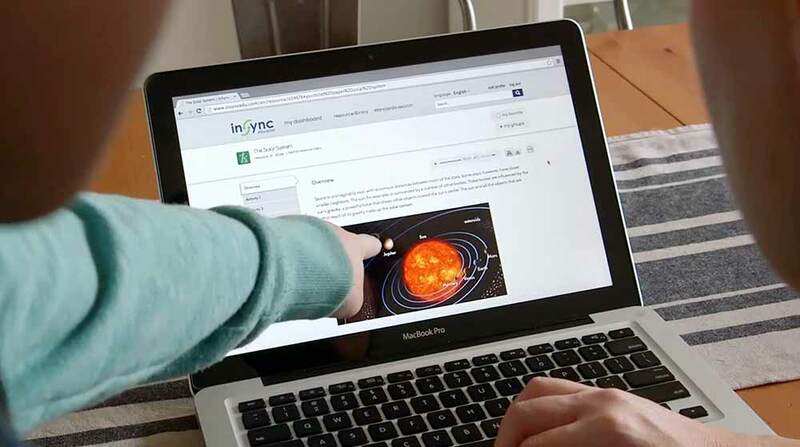 InSync Education offers more than 2000 standards-aligned resources to reinforce high-need Language Arts, Math, Science and Social Studies at school and home. InSync Education also includes helpful tools for improving foundational student skills in homework, test preparation and next grade readiness. For high school students and their families, InSync Education offers more than 100 College & Career Readiness resources: Career cluster overviews for Career & Technical Education, College preparation and financial aid activities, Financial literacy, life skills and workplace readiness. One-size fits all content no longer works. InSync recognizes the varied needs of our audience and provides many ways to access content. Parents, students and educators can seamlessly switch from English, Spanish, and Haitian Creole with the innovative language toggle. Audio, print and variable size on-screen content gives access to the application to all students, even those with disabilities and/or special learning requirements. And the entire InSync application is mobile-ready and fully responsive, freeing schools from having to make difficult choices between devices. InSync offers schools a simple yet extremely versatile way to create, manage and track groups of students. By giving local teachers the power to form, recreate and even dismiss groups of students at any time and in any combination throughout the year, InSync provides teachers with real-time—and real useful—data on the students they need to see, when they need to see them. Examples of this include RtI Tier 1,2,3 interventions, after-school groups, G/T and enrichment groups, remediation and struggling reader groups, project-based learning teams, and more. to customize our program to fit your needs and know that one size does not fit all. academic achievement of every child: the parents' active engagement in the teaching and learning process. Want to contact us for a demo or have something you'd list to ask? We'd love to connect with you. Just fill out the form aside or contact us via the details below.